The present study was initiated to identify a novel cytotoxic bioactive molecule from marine sponge Callyspongia fistularis symbionts and to investigate its apoptotic role on human liver cancer cell line (HepG2). The extracts of all the isolated strains (AMK1–AMK12) from sponge Callyspongia fistularis were screened based on cytotoxicity on HepG2 cell line, among them AMK1 showed the significant cytotoxic activity. The strain AMK1 was identified as Bacillus pumilus based on 16S rRNA sequencing and biochemical tests. 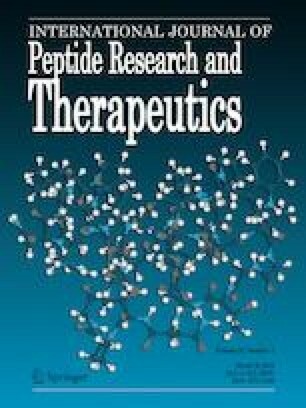 Further purifying the bio-molecules responsible for the cytotoxic activity by different spectral analysis led to the identification of dipeptide Cyclo(-Pro-Tyr), that showed promising cytotoxic activity and apoptotic inducing activity on HepG2 liver cancer cell line with an IC50 value of 42.98 µg/mL. The effect of Cyclo(-Pro-Tyr) induced apoptosis of HepG2 cells was indicated by nuclear morphology, PI staining, AO/EB staining and cell cycle arrest by flow cytometry analysis. These findings suggest that Cyclo(-Pro-Tyr) isolated from B.pumilusAMK1 may contribute as a novel anticancer molecule, forming an important strategy for developing alternative therapies to treat liver cancer with natural molecule without affecting the normal cells. The online version of this article ( https://doi.org/10.1007/s10989-019-09850-2) contains supplementary material, which is available to authorized users. The authors wish to thank Dr. G. Sivaleela, Scientist C, Zoological survey of India for her support in the identification of marine sponge species. Also, the authors wish to thank Dr.Malini, Sri Ramachandra Medical College and Research Institute for her help to carryout flow cytometry studies. The structural characterization was done with the help of scientist Dr. M. Rajasekhar, chemist, Sathyabama Institute of Science and Technology, Chennai. The corresponding author is also grateful for the grant sanctioned by Department of Biotechnology, Aquaculture and Marine Biotechnology, Govt of India under the taskforce (BT/PR11664/AAQ/3/682/2014) research grant. In this type of study, formal consent is not required.